Many of the University of Missouri’s former presidents, faculty, and curators are buried in nearby Columbia Cemetery. 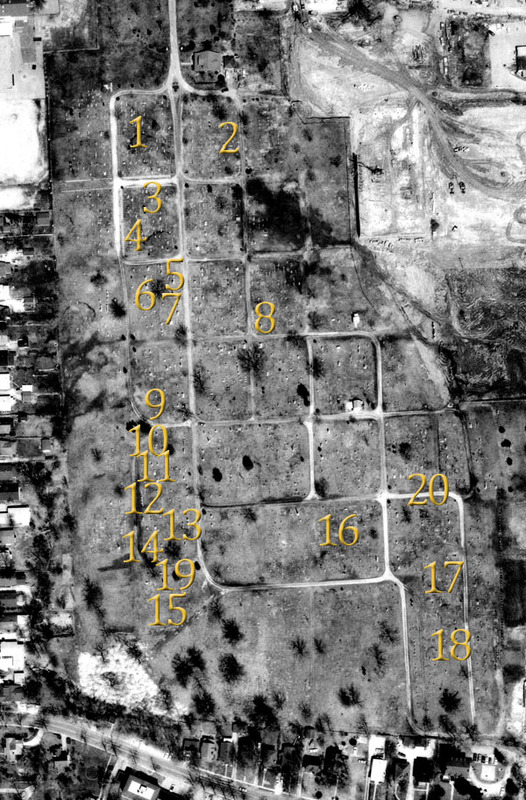 Below is an aerial photograph of the cemetery, ca. 1970, with numbers corresponding to the location of the final resting place of these notable leaders, administrators and scholars. Clicking on either the names in the sidebar, or the corresponding numbers on the map, will provide a Web link featuring a portrait, a short biographical sketch, and a closer look at the gravesites honoring these individuals who have helped to forge the Spirit of Mizzou. Contemporary Google Maps providing a street layout for the cemetery and the surrounding area are available on the Columbia Cemetery Association's Website.